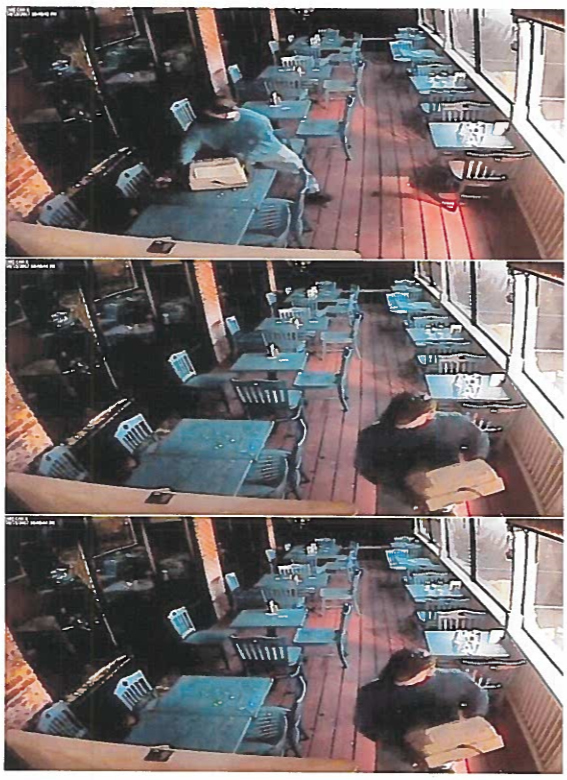 The Davidson Police Department seeks assistance in identifying a suspect in a break-in that occured at Restaurant X located at 408 South Main Street o Sunday, October 15, 2017. The suspect was captured on video around 10:46px, striking and shattering the glass window with a tool, entering the establishment and removing the cash register. The suspect is described as a caucasian male, approximately 5'7" to 5'11" tall with a medium to thin build, wearing long sleeved clithing, partially covering face up to nose, wearing a baseball ca and sneakers.